Kathmandu is located in a valley surrounded by the Himalayas and has a population of almost 1 million people. Nepal is a developing country with a low life expectancy and a very low per capita income. It continues to struggle with high levels of hunger and poverty. Natural disasters are a significant contributor to mortality in this region as well. Nepal is a beautiful and exotic country with a great need to meet its most recent challenge, the April 2015 earthquake. The nation is highly religious, with more than 80% of the population practicing Hinduism and many people having a deep belief in both Hinduism and Buddhism. In addition to being home to eight of the top ten mountains in the world, Nepal also has some of the most beautiful religious sites in the world. Services are extremely limited for anyone outside of the capital of Kathmandu, especially in the areas where your team will be working. You're venturing around the globe, have you considered extending your stay a few additional days to do some hiking in the Himalayas or visit Nepal's top cultural spots? Join IMR on an exclusive extension of Nepal! 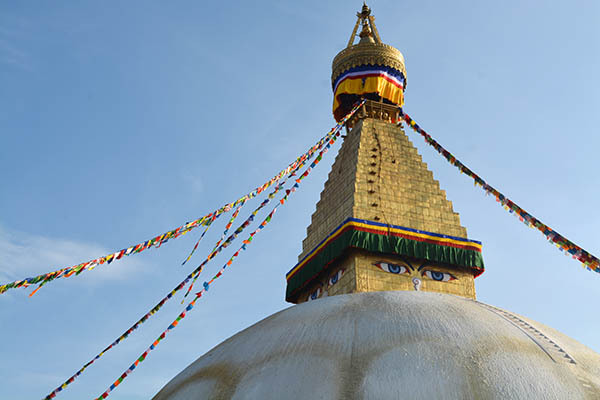 Nepal, known for its rich culture, lush landscape and extravagant, spiritual temples, is naturally a traveler’s magnet. Dive deep into spirituality and nature in the lively cities of Pokhara and Kathmandu. The country’s catchphrase is “Once is not enough” and you’re about to experience why first-hand. You and the team will fly into the Tribhuvan International Airport in Kathmandu, Nepal on March 25th and transfer to your hotel in Kathmandu. Your team will stay overnight in a great hotel in Thamel, the tourist district of Kathmandu and will eat dinner as a team that evening. The required arrival to your hotel is 5:00pm on May 25th. If you are flying on an IMR group flight your airport transportation will be provided for you. If you are flying independently and you would like to be added to the prearranged transportation, please contact us.plea If you arrive early, do a little sightseeing or sit and people watch at one of the many cafes and coffee shops right down the driveway from your hotel! Your team will be transferring to your remote location today in the SinduPalchowk and Dolakha Districts. Your team will have an orientation meeting upon arrival. The drive is magnificent so bring your camera! You will be staying in a modest but lovely guest house near the clinics and patients you will see each day. You will be working with marginalized patients in these small remote communities. You and the team will eat a simple breakfast at your guest house in the morning and then depart for clinics in the small communities in the SindhuPalchowk and Dolakha Districts. These clinics were hit hard during the April 2015 earthquake. You will be able to provide your patients with the immediate care they need and the education to help them help themselves long after you leave. In the evening, your guest house awaits where you will share a wonderful meal. There will be a nightly debrief and morning briefing each day. On the evening of May 31, you will return to Kathmandu for some well-deserved sightseeing on your last day in Nepal. This is the last day of your IMR trip to Nepal. You will have a full day of sightseeing today before departing for home in the evening. If you are on the group flight, you will head to the airport after saying goodbye over lunch to your team. If you are flying independently, you may leave anytime on June 1 or, if you plan to stay longer, will head to your hotel to spend more time in this beautiful city. If you would like to extend your stay contact Worldwide Navigators! Unfortunately, eligibility for the $200 savings on this trip is no longer available after Feb 25th, 2019. Before Feb 25th, 2019: YES! IMR will arrange your international flight on a "group" ticket at your request! IMR Group Flight: In order to qualify for the IMR Group Flight, you will need to reach 50% of the required donation on or before Feb 25th, 2019. Early Bird Special: A discount of $200 is awarded to team members who raise / pay 50% of the required donation on or before Feb 25th, 2019.